Shanghai, Hu for short, is a renowned international metropolis drawing more and more attention from all over the world Situated on the estuary of Yangtze River, it serves as the most influential economic, financial, international trade, cultural, science and technology centre in East China. Also it is a popular destination for visitors to sense the pulsating development of the country. Shanghai Main Hotel Destinations in China 88 Hotels found in Shanghai China. Directly opposite Jing’an Temple and located on the 12th floor of Paramount Metropolis Building, Paramount Gallery Hotel is a 2-minute walk from Jing’an Temple Station (line 2 and 7), thus providing easy access to People’s Square and the shopping belt of Nanjing Road. It features boutique rooms fusing Art Déco and modern European designs with free Wi-Fi in all areas. Paramount Gallery is a 3-minute walk from the terminal of Pudong Airport shuttle bus. It takes 10 minutes by car from the hotel to the local Museum in the city centre and 12 minutes to the famous Bund. Latest booking: 5 hours ago Shanghai China. It offers a swimming pool, fitness centre and rooms with free internet. The modern rooms at Pudong Radisson Hotel are fitted with large windows and have plenty of natural light. Amenities include a flat-screen cable TV and safety deposit box. The see-through bathrooms come with a bathtub and hot shower facilities. Guests can indulge in a relaxing massage at the spa. Radisson Century Park provides car rental services and free parking. Travel and sightseeing activities can be arranged at the tour desk. Yar Chi Ting serves traditional Chinese dishes, while Porcini offers Italian food. Other dining choices include light snacks and drinks at Bytes. Pudong is a great choice for travellers interested in aquariums, fine dining and clean streets. Guests can work out at the fitness centre, or enjoy delicious afternoon tea at the Smile Restaurant. Day trips, car rentals and ticketing can be arranged at the tour desk. The front desk is situated on Floor 12. The hotel’s restaurant serves buffet breakfast. Alternatively, there are several fine restaurants in the same building, such as Dolar Shop Hot Pot. New Harbour is 500 m from Huaihai Road. Nanjing Road Pedestrian Street and Xintiandi are 1.5 km from the hotel. The elegant suites at New Harbour Apartments have modern décor and separate living areas. A microwave, refrigerator and TV with cable channels are also provided. Guests can enjoy a game of billiards and relax with a massage at the sauna. An internet room is available for guests to use. A buffet breakfast is served at the on-site restaurant, which serves Chinese and Western dishes. Other dining options include a Japanese restaurant and bar. 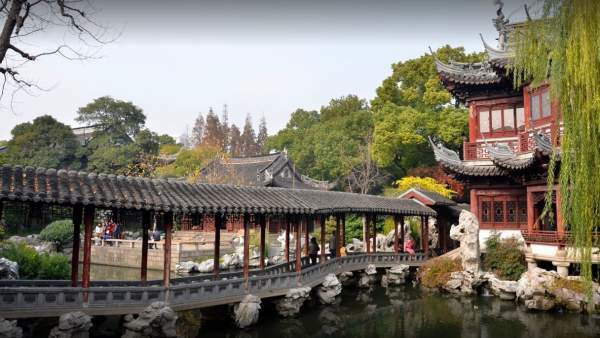 Huangpu is a great choice for travellers interested in shopping, architecture and sightseeing. Latest booking: 15 hours ago. Lonely Planet Shanghai (Travel Guide). Lonely Planet Shanghai is your passport to the most relevant, up-to-date advice on what to see and skip, and what hidden discoveries await you. Enjoy the Bund’s spectacle of heritage architecture, wander the Yuyuan traditional Chinese gardens, or see the latest in fashion at French Concession; all with your trusted travel companion. Get to the heart of Shanghai and begin your journey now! The Perfect Choice: our most comprehensive guide to Shanghai, is perfect for both exploring top sights and taking roads less travelled. Looking for just the highlights? Check out Lonely Planet’ Pocket Shanghai, a handy-sized guide focused on the can’t-miss sights for a quick trip. Looking for more extensive coverage? Check out Lonely Planet’s China guide for a comprehensive look at all the country has to offer, or Discover China, a photo-rich guide to the country’s most popular attractions. Inside Shanghai Jan 2013 with Lilin Wong and Allan Wu – The Best Shanghai. Want to know the best of Shanghai? The Best Dining, Best Shopping, Best Night life, Best Attraction and Best deals are all in this 30-min visual tour! Check it out before you leave your hotel room to plan the best route to visit them! Shanghai is the world’s largest city, with 18 million people living within the city limits, so it is filled with action and ideal people-watching conditions, with this densely-packed population. Shanghai is also one of the world’s most modern cities, which might surprise those who think that China is not yet a developed nation. Glistening new skyscrapers make this the largest collection of tall buildings on Earth. Despite this gigantic scale, it is a great place to discover on foot. At the beginning of reform and Opening up, Shanghai-made products were well-known for its fashionable styles and exquisite craftsman, which were popular with and pursued by people around China. Since then, “Shanghai-made” has been a guarantee of good quality and sales. And now, there are a variety of famous commodities from the world, which leads the trend of the times to be the cutting-edge of china’s fashion and popularity. Shopping in Shanghai, subway is the most convenient and efficient transportation tool. There are many famous shopping areas along the subway routes such as the bustling area of Huaihua Road which lies in the South Shaanxi Road station, the shopping mall beside Xujiahui subway, as well as Naijing Road which is connected by Nanjing East Road Station, Nanjing West Road Station, Jing’an Temple Station. On season-shift, festival or business anniversary, it’s a good time for shopping because the major shopping malls promote amazing discounts. Shanghai is an international city that melts with different cultures from all over the world; we call it Shanghai Regional Culture. Shanghai Culture is original from Traditional Chinese Culture and melted with the Wu and Yue Dynasty Culture, and with a deep affected by Western Culture. Shanghai created a new regional culture, with its unique characteristic, it feather in absorb culture from all over the world, good at abandon and pursuit excellent and innovation. The basic characteristic of this culture are more opening, creative and diversity. Chinese New Year (Spring Festival) is celebrated either at the end of January or at the beginning of February on the first day of the first moon according to the lunar calendar. Droves of Chinese head here for two weeks of festivities. During New Year festivities, you will find every house lavishly decorated and locals go to meet family and friends in town. All hotels and restaurants are likely to be fully booked during the celebrations. Lantern Festival: is celebrated towards the end of the New Year festivities. Locals hang coloured lanterns outside their houses and on the front of many buildings. Candles are lit creating beautiful patterns at night throughout the city. Yuanxiao (sticky rise dumplings) are traditionally eaten. Dragon Boat Festival: this is the third-largest festival in China. The world-famous sport of dragon boat racing has gained in popularity over recent years and could even be included in the 2008 Olympics. The sport began in China over 2,000 years ago, and this festival sees teams competing against one another in traditional boats, rowing to the beat of a drum. Shanghai tourist Festival: this annual festival offers a wide range of entertainment at venues across the city including colourful floats and street parades. There are also markets, a folklore tour of Shanghai lanes, a Chinese festival at Yu Garden and a musical fireworks festival in Century Park. In the recent times Shanghai has gotten its own fashion week called Shanghai Fashion Week. It is held twice every year in October and April. The April session is a part of local International Fashion Culture Festival which usually lasts for a month, while Shanghai Fashion Week lasts for seven days. The Shanghai Art Museum, located in the former Shanghai Race Club building in the People’s Square, is a major art museum holding both permanent and temporary exhibitions. The Shanghai Natural History Museum is a large scale natural history museum. In addition, there is a variety of smaller, specialist museums, some housed in important historical sites such as the site of the Provisional Government of the republic of Korea and the site of the First National Congress of the communist Party of China. The shanghai Propaganda Poster and Art centre is also in Shanghai. Take A Break Holidays takeabreakholiday, Shanghai Accommodation.